Most people have no idea how much they should be saving to meet their retirement needs. Chances are, it will cost significantly more than Social Security provides to retire comfortably. 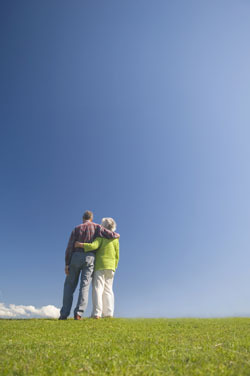 In retirement, most of us will also need to rely on the assets that we have managed to save over our working careers. We can help you structure a program that supplements any existing pensions or Social Security benefits with income from your own investments. We can help you determine how much you should be saving to meet your retirement goals as well as analyze the impact of different approaches and alternatives on your retirement picture. For example, we can show you the impact that setting aside additional amounts to fund college needs or buying a second home will have on your potential retirement cash flow. Our advice is easy to understand and easy to implement. We help you understand the impact that decisions made today, will have many years into the future. Your assets are the product of years of hard work. Proper estate planning can ensure that your assets are preserved for the benefit of your heirs, to the fullest extent possible. We work with some of the leading estate attorneys in the Chicago area to put in place an estate plan that will minimize your estate tax liabilities. 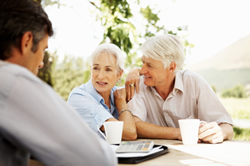 We have significant experience with some of the more advanced estate planning techniques, such as family partnerships or LLCs and pension rescue strategies that can help reduce some of the double taxation (ordinary income and estate taxes) of qualified plan assets such as IRAs and 401Ks. Given the continuing uncertainty surrounding estate tax laws, it is imperative that your estate plan not be tucked away in your safe deposit box and forgotten. As part of our holistic approach to financial planning and investment management, we can help ensure that your estate plan is up to date and has been implemented appropriately. All too often, we run into complex estate plans that have been developed at great expense, but the assets have not been re-titled to take maximum advantage of the current estate tax laws and the trusts that were established as part of the estate planning process. Depending on your circumstances, titling assets Jointly can either be a sound decision, or it can negate the estate tax saving goals of your estate plan. We can help you understand how to put your estate plan to maximum effect, sometimes without scheduling another consultation with your estate tax attorney.